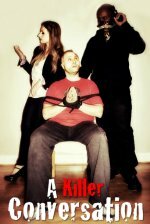 Your new movie Horrors of the PNW VI - in a few words, what is it about? 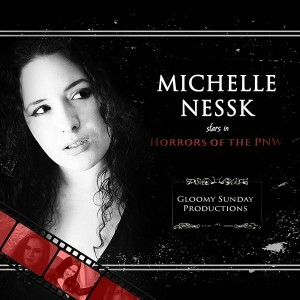 Michelle Nessk: It's a horror anthology series, hosted by Zee Monsta. Some segments are curated shorts like Tristan Risk's directorial debut Parlour Tricks [Tristan Risk interview - click here]. Others are thematically set into Zee Monsta's universe. The ongoing theme of the series since the beginning has been a celebration of women, and anti-hero revenge horror. This year we are exploring motherhood. There will be seven segments focusing on this outside of the curated selections. We have announced two of the segments thus far, 333: Illuminaughty and Mother's Day: Cicadas. Tonjia Atomic: The two shorts that I'm a part of are 333: Illuminaughty and Mother's Day: Cicadas. They are both very different and differently made. However, both explore the themes of motherhood, family, and loss. How did the project fall together in the first place, and what can you tell us about the Horrors of the PNW-series as such? MN: I started the series 7 years ago. I approached the convention / film festival Crypticon Seattle with the project for sponsorship. They liked the idea, and we are now on our 6th year presenting the premier with them. It is set in an anthology format, with a silent film horror host who isn't quite human, Zee Monsta. The film segments tend to run the gamut; strange and surreal, dada-esque, creepy, to gory + music videos and interviews. 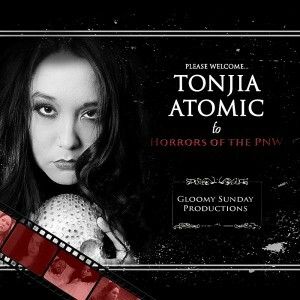 TA: I love Horrors of the PNW and I'm trilled to be able to be a part of it all. What were your sources of inspiration when writing Horrors of the PNW VI? MN: There's so many. The overall inspiration for this year's subject matter stems from having incredible conversations with my co-horts about how we all grew up. Our perspective of a mother's role in society, and what it is to be a mother. I feel even the word "Mother" is powerful. I wrote Mother's Day: Cicadas with Barbara Magnolfi in mind for the lead role. Her character embodies Beauty and Evil. She's a thorny rose. Captivatingly depraved. I was blown away by her performance. For 333: Illuminaughty Tonjia Atomic and I built together within the Zee Monsta universe. The idea for the 333: Illuminaughty project first sparked when we were in Toronto last year on the set of Rabid. We found ourselves on the subject again when making plans for attending Medusa Underground Film Festival in Las Vegas. In conglomeration with the festival we began filming at the event. We used real world immersion for our found-footage format and placed the stipulation upon ourselves that we had only one take per scene outside of technical difficulties. I feel like we had to fight the urge of getting over 18 hours worth of footage. I think the true inspiration for it was all the fun that was had in the process. TA: Personally, I worked on 333: Illuminaughty. It was an amazing project and process. 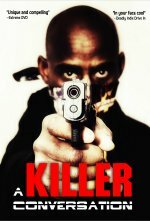 We created it as we went using improv and real life situations. It was a lot of fun to do. Michelle and I really work well together. We would bounce ideas back and forth and grow ideas off of one another. MN: I'm a deep lover of revenge horror and super powered anti-heroes. That's always a major part of Horrors of the PNW. But it's also meant to be a gateway drug for aspiring artists, and an open door for established artists who wish to get more of their personal works out there, and collaborate. It exists to celebrate the entire horror community whilst highlighting fellow indie filmmakers. It's one big love note to the horror genre. 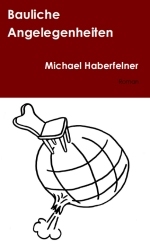 TA: 333: Illuminaughty deals with the horrors of the unknown and secret societies. What is going on behind closed doors after all? What can you tell us about the overall look and feel of your movie? MN: The format for the series is very 90s punk & industrial. I feel like its the equivalent of a floating paper zine you'd find in the dispenser of a sodapop machine and late night Canadian television that would play Kids in the Hall reruns followed by a club event with Skinny Puppy - at least that's how I picture it in my head. I hope something of that translates for other people? 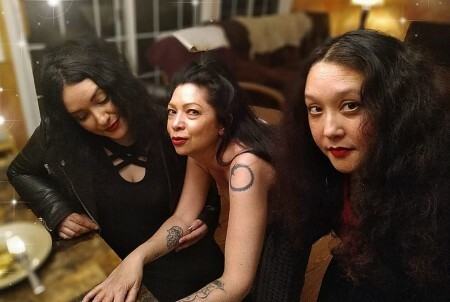 You both also appear in front of the camera in Horrors of the PNW VI - so do talk about your respective characters, and have you written them with yourselves in mind from the get-go? MN: I play Zee Monsta (aka Ven) and a number of other characters. She was my imaginary friend when I was a tatertot. I used to make little comic books about her. But I actually ended up playing her myself by happenstance. The actress I had originally cast to play her was a no show on set and the equipment rental was already pricy. So it happened in a split decision. But I actually love playing her. Zee hunts by producing doppelgangers as lures. But she also has a vast lineage, sometimes lookalikes pop up. We have met some of her family over the years. (Last year we met Vesper played by Tristan Risk [Tristan Risk interview - click here] in the film Just a Prick.) In 333: Illuminaughty, we meet the De'Bloome girls, I play Lily who, although a terrible person, is still just a human learning how to be. In Mother's Day: Cicadas I play "The Ugly Daughter". TA: I play Rose in 333: Illuminaughty. I'm an older sister who has a bit of an attitude. I'm a bit of a know-it-all plus I have a bit of a chip on my shoulder. Although I don't want to wear my heart on my sleeve I am an emotional and sensitive person. Even so, I can play rough with others. What can you tell us about the rest of your rather star-studded cast, and why exactly these people? MN: Everyone involved is so incredible. I'm astounded by the immense talent of Barbara Magnolfi. Barbara is such a major aspect of what inspired me to become a filmmaker. And Debra Lamb [Debra Lamb interview - click here], she truly is a fire breathing scream queen. I'm also such a fan of Tonjia, I love working with her every chance I get. Her film Plain Devil is actually in my top 10. It is pure dada art. TA: Barbara Magnolfi was wonderful to work with. She brought a great emotional depth and understanding to her character in Mother's Day: Cicadas. I think she'd be a great creator and director herself. Debra Lamb really got what we were doing with 333: Illuminaughty. She was able to improv and create along with us. She's very creative and I'm looking forward to learning more about her own artistic creations. Of course, Michelle and I work so well together. We have similar sensibilities but differences enough to push each other creatively. MN: There's so many segment sets on this project, but the feeling of joy is always there. For 333: Illuminaughty we were at Medusa Underground Film Festival @ The Artisan Hotel in Las Vegas, Nevada. Incredible place & event. Very art deco meets baroque, meets funhouse. We had a lot to work with. It was very magical. TA: One thing that I couldn't help noticing was that there is a feeling of support on set. It never feels like butting heads or a competition. Instead, it feel like a collaborative atmosphere that brings out the best in each of us. You are currently running a fundraiser for Horrors of the PNW VI - so do talk about your campaign! MN: I do it cash out of pocket with help as the series is sponsored by various companies and there are producers involved. This year is a lot bigger than the prior years. And to make it the very best that it can be, we are seeking crowdfunding. We are raising $5,000 to help cover expenses for the project, which is a modest amount. This goes toward helping cover costs for talent, crew, travel, per diem, + locations. We have some really cool perks to get in on. Copies of the entire series thus far. Producer credits, a chance to star in a segment for 2020. TA: I'm really excited about the perks in the campaign. I appreciate each and every bit of support. It's really going to help us make the best project that we can. 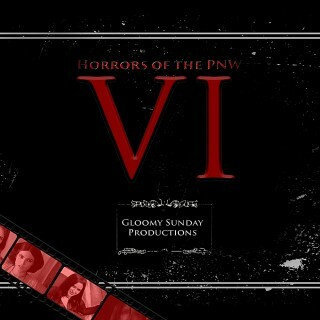 The $64-question of course, when and where can Horrors of the PNW VI be seen? MN: You can come see it during the premier at Crypticon Seattle in May. Or at the various theatres and festivals as they are announced throughout the year, or you could choose the "Sign of the Times" perk! Any future projects beyond Horrors of the PNW VI you'd like to share? MN: 333: Illuminaughty is actually being released as its own full feature in October. We are in the works with Debra Lamb [Debra Lamb interview - click here] on another project, but we can't say much about it right now. I have a meta piece I will be working on soon. I'm very excited about it, it's a rather well known piece of literature. TA: I'm in pre-production on several projects. Unfortunately, I can't talk about any of them yet. I'll just say that they involve some familiar faces of the horror genre, Manos Returns, Horrors of the PNW, and Michelle Nessk! MN: This project is actually conglomeration of nine total film projects combined to create the anthology with curated picks, we are so excited to be able to present it to everyone. We are running an IndieGoGo right now to help with funding, we are only raising 5000 to help with supplementals. Any and all support is appreciated. Thank you, to you for this interview, thank you to your readers, and everyone involved.